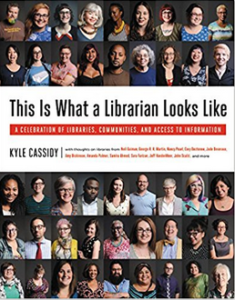 Yesterday is a day I have long waited for, publication day of Kyle Cassidy‘s,This Is What a Librarian Looks Like: A Celebration of Libraries, Communities, and Access to Information! How excited was I for a May 17th release? I pre-ordered on January 3rd. So, that excited. :) You can order it right now too, here is the link to the Amazon page but you can order from many vendors or just pick it up at your local bookstore or library. It all started when Naomi Gonzales reached out to a Philadelphia based photographer she had long admired to see if he’d be interested in photographing librarians for a project during ALA Midwinter which was in Philly that year. 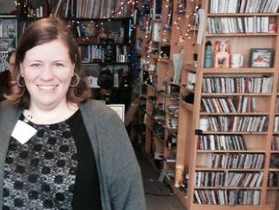 Naomi is a former INALJ volunteer and a super-librarian! She got this ball rolling and her work along with that of Ingrid Conley-Abrams with Kyle led to a SLATE feature called This is What a Librarian Looks Like, featuring many now iconic images of everyday librarians who get up and do the work daily, as well as a Kickstarter for a book and documentary to be narrated by Neil Gaiman, called Alexandria Still Burns: Librarians & the Fight for Knowledge!!! And now we have the book version in hand available to buy or check out of many libraries! I use exclamation points a lot you may notice because THIS IS EXCITING! 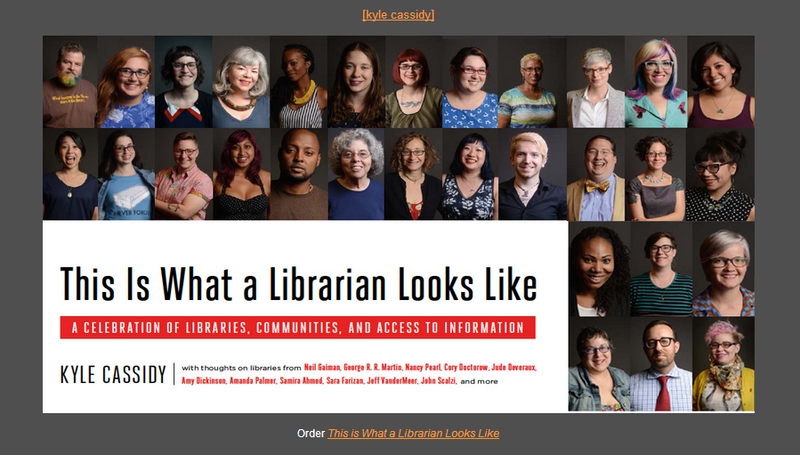 My copy will be arriving late next week and I will DEFINITELY be updating this blog post with my own thoughts and plenty of celebrating the many WONDERFUL librarians I call friends, former INALJ volunteers, and library heroes! Be on the lookout for my updates!!! And check out some great quotes here.